Trump looks to accept an Israeli Golan Heights….The Politics…. THAT is a Foreign Policy move no American President has done since the 1967 Israeli-Egyptian War…. The land was actually Syrian…. THAT makes things even more complicated…. President Obama went back and forth with THAT country because it’s leader Assad used chemical weapons to beat down dissent…. Assad has survived by buddying up with Russia and Iran…..
Israel and America are NOT gonna give the Iranians ANYTHING they do NOT have to…. Israel and most of the Arabs countries HAVE figured out how to get along…..
NOTE.…Donald Trump’s Foreign Policy is mostly ‘free-lance’ the last person who talked to him…. 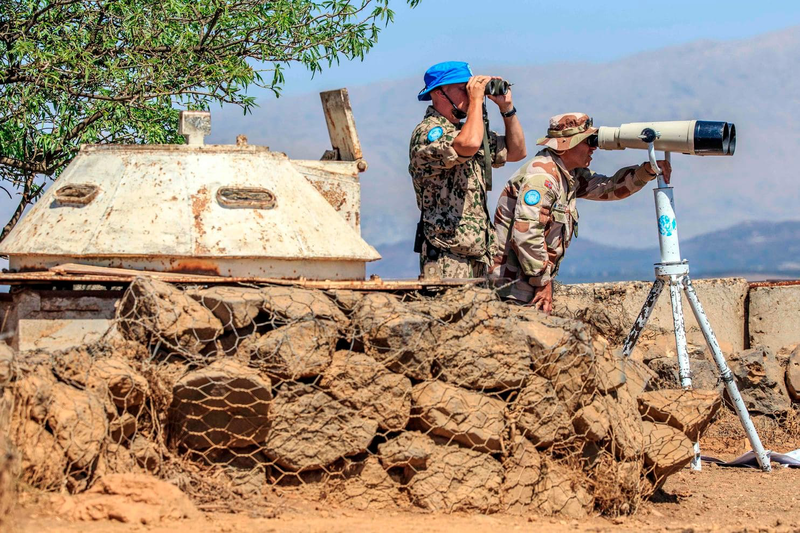 The Golan Heights is a stunningly beautiful and strategic area that gives whoever controls it a distinct military advantage over the surrounding region. The Syrian military used it to shell the Galilee, and Israel seized it as a strategic asset that it considered necessary for its own security, displacing tens of thousands of the area’s Arab inhabitants in the process. It was a stinging slap to the Arabs, who saw the Israeli occupation as yet another example of an international order that failed to enforce its own rules. Syria launched a failed attempt to take it back in the 1973 war, which ended with an armistice that brought in international observers but left most of the territory under Israeli control. “The Israeli decision to impose its laws, jurisdiction and administration in the occupied Syrian Golan Heights is null and void and without international legal effect,” the resolution read. But little was done to enforce it, and decrying the occupation became a staple talking point for President Hafez al-Assad, the current president’s father. In a country where nonsanctioned political activity was banned, rallies for the Golan were common and schoolchildren were taught to chant for its liberation. Despite this, it often remained the forgotten piece of the “occupied territories.” Sinai was returned to Egypt as part of a peace deal, and the fate of the West Bank and Gaza became the focus of peace talks between Israel and the Palestinians. The Golan was different. Its original inhabitants were not Palestinians, but Arabs from the Druze sect who mostly retained Syrian citizenship and avoided politics. The area has avoided the violence that has riled the Palestinian territories. Israel offered the Arab residents citizenship, but few have accepted it. Over time, Israel built dozens of settlements there, bringing the Jewish population to about 26,000 people and outnumbering the 22,000 Arabs. The settlers built orchards, wineries, boutique hotels and a ski resort, turning the area into an Israeli vacation spot. Various American presidents tried to revive Syrian-Israeli peace talks, ending with the effort by Mr. Obama and his secretary of state, John Kerry. But the Syrian civil war changed everything. With all of its resources dedicated to defeating rebels and jihadist groups, the Syrian government let the Golan slip down the priority list. As the war eroded the Syrian state, Israel built quiet relationships with rebels near the Golan, bringing some into Israel for medical care. Syrians who opposed the government noted that Mr. Assad had no trouble bombing his own cities and gassing his own citizens to keep power, while he had done almost nothing to “liberate” the Golan….. Opposite the NY Times piece is the reaction piece from in the Washington Post…. Syria and its Russian and Iranian allies slammed President Trump’s call to recognize Israeli sovereignty over the Israeli-occupied Golan Heights on Friday, inflaming regional tensions at a time when the Trump administration is seeking to curtail Iran’s expanding influence. A statement by Syria’s Foreign Ministry said the move would increase Syria’s determination to recover the territory occupied by Israel “by all available means,” and Russia and Iran both said it violated international law. The Syrian civil war, however, has brought Iranian military advisers and Iranian-backed militias such as Lebanon’s Hezbollah into the part of the Golan Heights that remains under Syrian control, and they have on a number of occasions fired rockets into Israel, triggering retaliatory strikes….